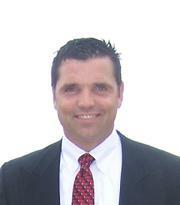 Premier Corporate Search, Inc. was founded in 1999 by Gary White. Candidates have been placed with progressive companies for over 19 years. Our scope is national with years of in-depth experience in executive recruiting and consulting to serve our clients and candidates at the highest, most professional level. Premier has a staff of experienced recruiters with specialized skills and tools to find experienced top-notch candidates. Our researchers and consultants access market availability, use comparative benchmarking and find candidates who not only have the required experience and expertise, but are the correct culture fit for the organization.